It’s instantly evident upon strolling through Havana that the presence of Ernest Hemingway still lingers. After all, the beloved novelist’s love affair with the island lasted over 30 years. Seven of his greatest (and most memorable) literary contributions—inclusive of “The Old Man and The Sea,” “A Moveable Feast,” and “Islands in the Stream”—were created on this tiny stretch of land in the Caribbean Sea. The vibrant colors, the salty smell of the water, the lively locals—all played a major role in the crafting of his creative life. 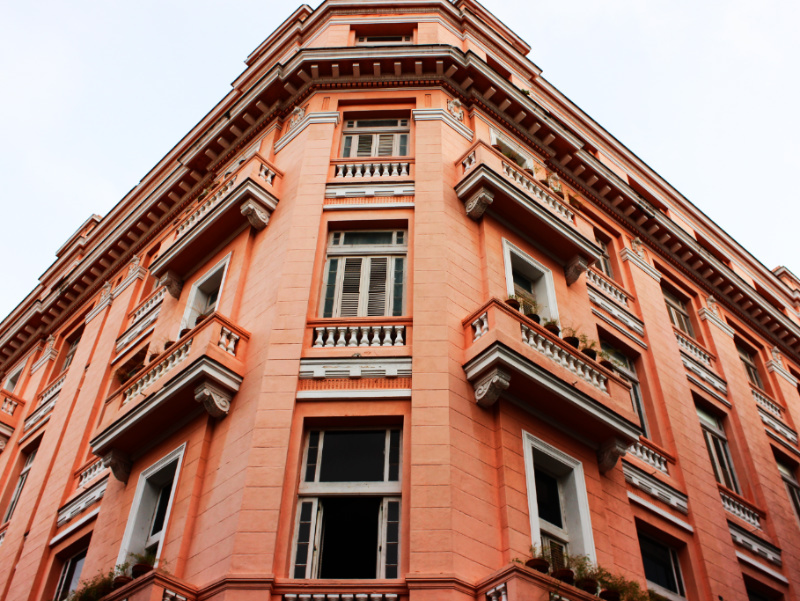 The first place Hemingway landed in Cuba in 1932 was the Hotel Ambos Mundos. Chosen for its views of Old Havana and the harbor sea which he frequently fished in his yacht “El Pilar”, he occupied room 511 on the 5th floor. He asserted the location as an ideal place to write, as he would often contemplate ideas from his window. He began his novel “For Whom the Bell Tolls” in the room in the Ambos Mundos, on March 1, 1939. Today the hotel remains a buzzy must-see, with a rooftop restaurant and bar (with some of the best piña coladas!) overlooking the city. And room 511 remains an ode to Hemingway, a museum with pieces of his written work. The entrance fee is $2 CUC (Cuban Convertible Peso)—the exact amount Hemingway used to pay for a one-night stay. In 1940 Hemingway purchased a home ten miles outside Havana, in the village of San Francisco de Paula, with then-wife Martha. Named Finca Vigía (meaning “Lookout Farm”), the land consisted of a large main house, a plethora of outbuildings, and extensive gardens. “For Whom the Bell Tolls” was completed in this house—as was “The Old Man and the Sea”. Hemingway lived here for 20 years, even after after the Cuban revolution ousted the US-backed government in January 1959. Today the home, restored by the Cuban government after claims of endangerment and collapse by the US National Trust for Historic Preservation, is currently open for visits. The serene setting remains as it was during Hemingway’s occupancy—one can imagine the brilliant man jotting away epic tales from his standing typewriter. This is an mandatory place to see for any Hemingway fan. Hemingway’s favorite watering hole and the supposed birthplace of the daiquiri—the rum-and-lime-juice cocktail he once described as having "no taste of alcohol and felt, as you drank them, the way downhill glacier skiing feels running through powder snow." The bar first opened in 1817 but became world-known after Hemingway’s loyal patronage. Today this stunning haunt features a large bar, ornate decor, and a bronzed tribute to Hemingway who once reportedly put down 13 double daiquiris in one sitting. You can find live music playing on any given night, and the vibe (considering it’s 200 years old) is always bustling. If Hemingway wanted to crush a few daiquiris he went to Floridita, but if it was a mojito he was after, La Bodeguita del Medio was his spot. Back in 1942, this little restaurant was actually a small grocery store—its owner, Ángel Martínez, starting selling food as his number of customers increased. Past visitors have included Nat King Cole, Harry Belafonte, Salvador Allende, Fidel Castro, and of course Hemingway—all of whom have left their autographs on La Bodeguita's wall. Today you can frolic on in for a $4 mojito, and sip amongst the star-studded graffiti...if you get past the hoards of tourists. This place gets beyond crowded pretty much all day every day, but if worth a gander if you have the gall.